Many business owners are of the misconception that purchasing expensive furniture can make their office look wonderful and help enhancing the worth of their organization, however to add a real elegance to your office and to attract your prospective customers, you need purchasing furniture that blends perfectly with your office interior. For classic interiors, the fine wooden furniture made out of mahogany wood and teakwood is the best choice. If your business is associated with creative services such as graphic designing, copywriting or creation of anything artistic, you can incorporate bright colors along with unconventional furniture. However, if you own a real-estate firm, an insurance firm or any other formal company, only the conventional office furniture will suit you the best. A good color scheme is really important for your work place. The interior colors including walls, floor and the furniture are the factors which greatly impact the overall environment of your office. The colors have the power to affect people psychologically. For instance, the red color has potential to invoke hunger, which is the reason why many restaurants make use of red color on the walls and furniture. In short, the colors reflect the products and/or services your company has to offer therefore you should use them intelligently, so as to make your customers happy and satisfied. Lighting plays the role of lifeblood in your office’s interior. The more you will make it rationalized, the more it will help creating an appealing atmosphere. 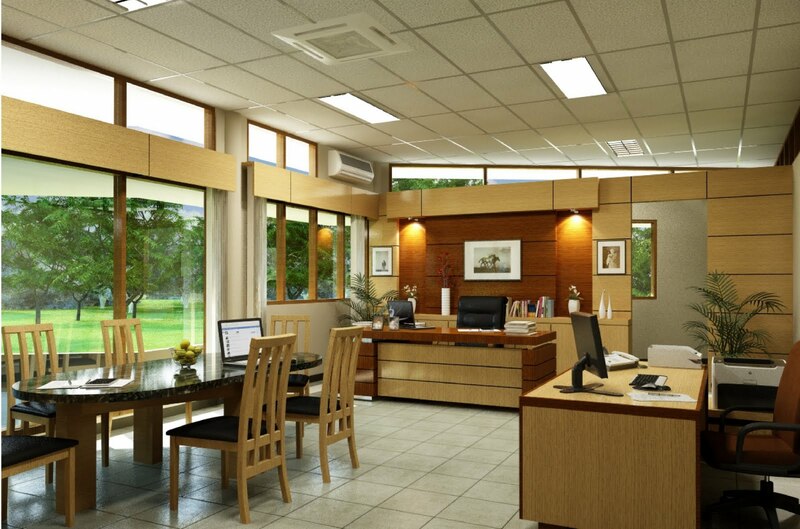 With the help of balanced lighting system, you can make your office interior stand out. By making use of spot lights, you can highlight only the best features of your interior and hide the odd ones. If you acquire the services of professional interior decorators in Lahore, they will help you elegantly light up your office and create a soothing atmosphere for your staff to work in. According to the latest research, the office environment greatly impacts on the conduct and performance of your employees, so you should make sure that your business environment is ideal for working.